Wishing Secretary of State @JohnKerry , #prostatecancer survivor, a successful run this year. Thank you for your support throughout the years! The Christmas Season is a joyous time for giving thanks for our many blessings. As I reflect over this year and my twelve years as a prostate cancer survivor there is so much that I am personally thankful for. The progress that PHEN has made is certainly high on my list. PHEN will celebrate its ten year anniversary in 2013. 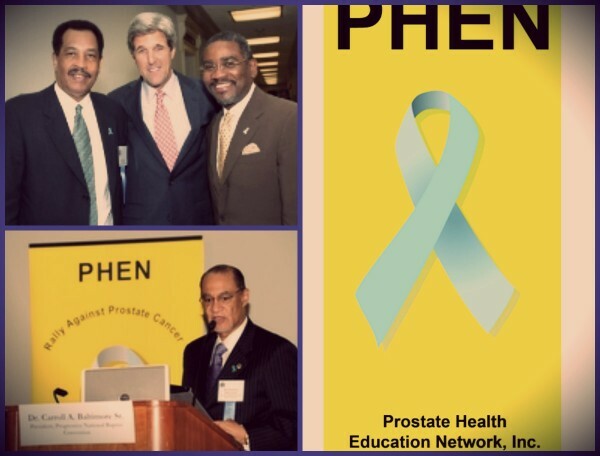 When founding this organization, based strictly on my passion to lessen the impact of prostate cancer on the men most at risk for the disease, I had no business plan for longevity, only a hope and desire for PHEN to make a difference. Today, I find it a remarkable blessing that we have been on this journey for a decade – succeeding in our mission by touching the lives of many men and their families. To all of the survivors, supporters, partners and friends who have been on this journey with us – We wish you a Merry Christmas and Happy Holiday Season! 2012 will undoubtedly be noted as a transformative year for prostate cancer. The controversial U. S. Preventive Services Task Force’s (USPSTF) recommendation against PSA screening captured headlines in the United States and around the world; The FDA approved Enzalutamide, another exciting new treatment for advanced prostate cancer; Major advancements have been made towards developing new diagnostics to help distinguish between cancers that should be treated and those that may be monitored; The U. S. Senate passed a resolution recognizing the occurrence of prostate cancer among African Americans to be of epidemic proportions. These are just a few of the major developments taking place in 2012. What role can these transformative events play towards eliminating the African American epidemic as cited by the Senate? 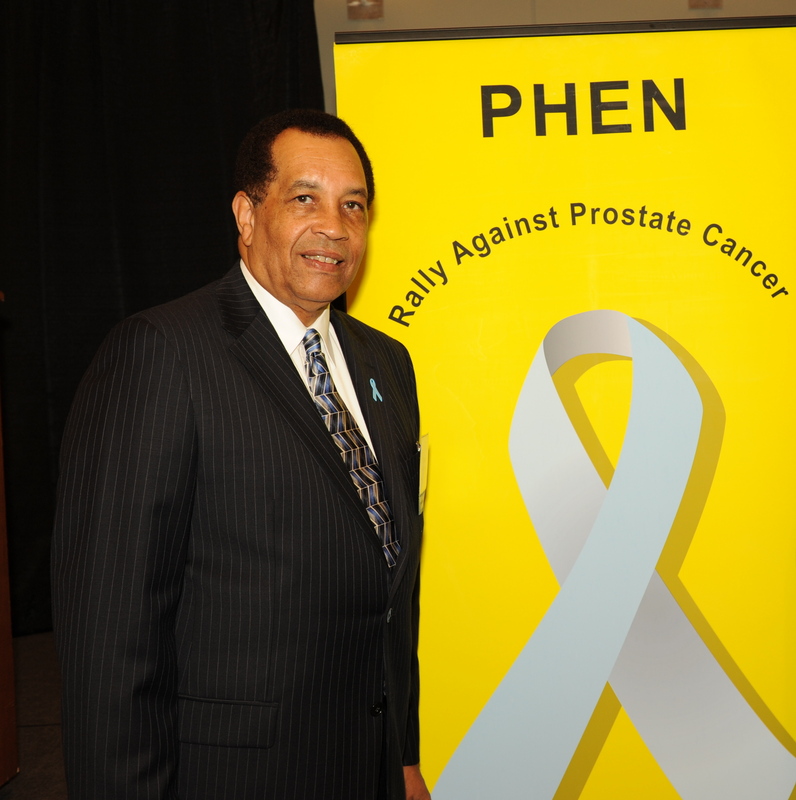 This was the focus of PHEN’s Eight Annual African American Prostate Cancer Disparity Summit hosted in Washington, DC, on September 20th and 21st. I have continually outlined my position against the USPSTF’s action which I consider a major impediment to progress. We addressed this issue at our summit and we will continue to do so aggressively. New diagnostics was a bright spot at the summit with three outstanding presentations made in this area. Just two days prior to the summit Genomic Health made a major announcement regarding its evolving diagnostic test. Genomic’s senior director, Dr. Jeffrey Lawrence’s presentation at the summit will be featured during PHEN’s monthly webcast on October 10th. In addition, all three of the presentations will become available online via PHEN TV in the very near future. As we march towards the end of 2012 I am truly excited for a brighter overall future for prostate cancer patients. 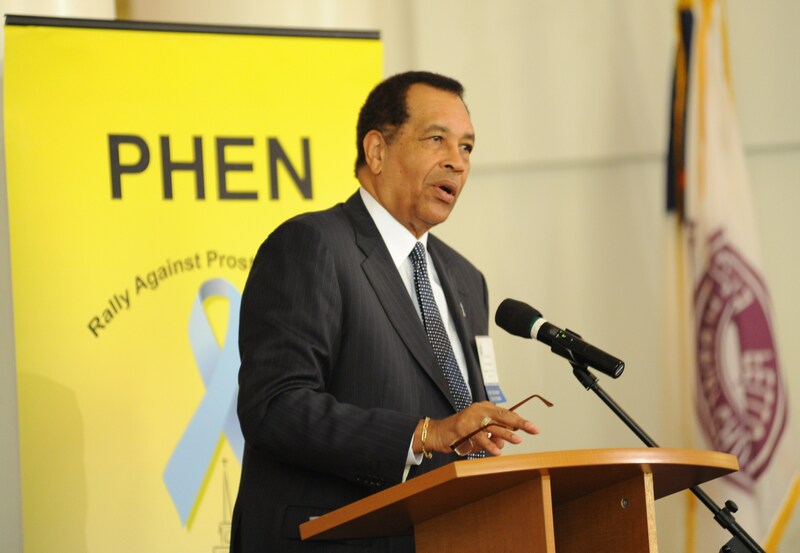 PHEN’s primary mission is to ascertain that this future includes lifting the devastating epidemic from the African American population as recognized by the United States Senate. I am pleased that our “eight annual summit” was another important beacon helping to guide us towards realizing our mission. We will share the summit with our national audience over the coming weeks and months via our monthly webcasts and PHEN TV.